WoodsBosses (WB) are the face of leadership for field programs at Idaho Conservation Corps. WBs implement dynamic youth programs and/or play a key role in supporting young adult programming. WBs will spend the vast majority of their time in the field, working long days and moving between remote crews on a daily basis for the duration of their position. WBs oversee staff training in partnership with a Programs Coordinator and directly supervise field leaders during program implementation. WBs will help: prepare staff for the successful and safe implementation of projects; provide technical assistance on the worksite; are responsible for performing quality control of service projects; maintain organizational standards of camp life to help ensure the physical, social and emotional well-being of participants; ensure educational programming remains robust; coordinate program orientations and graduations with relevant Programs Coordinator(s); often serve as the first respondent to field incident emergencies. While supporting youth programs, WBs coordinate all aspects of weekend sites (crew rendezvous) such as, but not limited to: recreational opportunities for participants; respite for staff; meaningful reflective time for youth; food and tool logistics and resupply. As a Field Leader or Assistant Field Leader, you will co-lead a teen-age trail crew in one of our many conservation projects scattered across the Northwest. You will grow, learn and laugh along with your crew; build solid muscles and lasting friendships. All staff participating within Youth Corps Programs are hired on as Assistant Field Leads. Evaluations throughout staff trainings will help Supervisors determine who will fit best in what role. 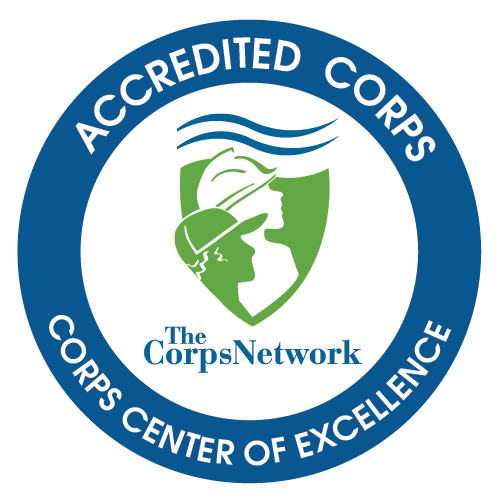 Crew Leaders are responsible for safely completing conservation and maintenance projects to high standards by training, working with, and supervising crews of eight young adult AmeriCorps Members (ages 19 – 24). The Seasonal Stewardship Program (SSP) is an innovative AmeriCorps program designed to provide hands on training and experience to those interested in pursuing employment with conservation corps, land and water resource management agencies, and other outdoor careers. The SSP integrates team-based work projects, education, and on-site vocational training into an experience that prioritizes personal growth, and the development of conservation work skills. Participants will develop technical skills working on a variety of conservation projects while developing the soft skills needed to be successful in the outdoor industry.